Comet Lovejoy – quite an uplifting name for the stellar body bearing the name “The New Year Comet of 2015”. Here’s hoping love and joy prevail throughout the year. It’s already started for Terry Lovejoy, and ardent amateur astronomer located in Australia. 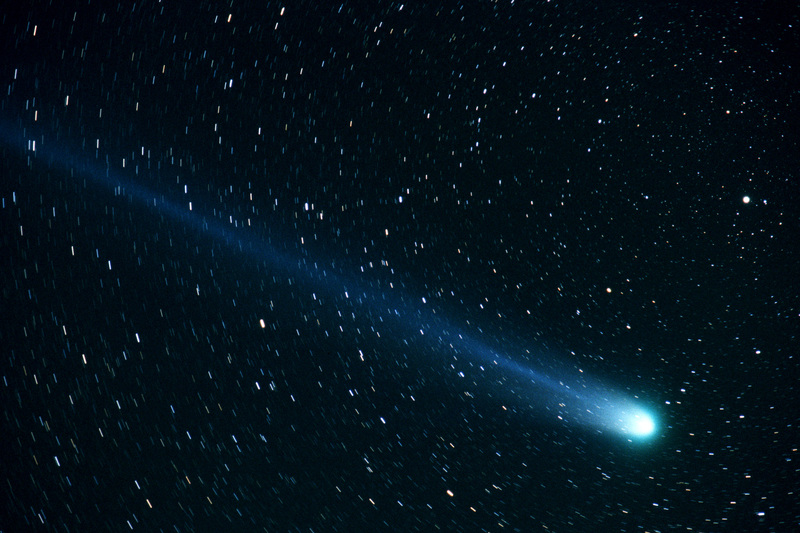 The comet appears green due to the release of cyanogen gas as it melts during its orbit towards the sun. For the next week or so, the comet can be seen without a telescope below the belt of the constellation Orion. In case the skies are cloudy or unable to catch a glimpse of the comet, Mr. Lovejoy has provided a vivid image of his green comet. Comet Lovejoy and it’s spectacular green tail imaged through a special lens. Prior to this year’s sighting, Lovejoy located the comet C/2011 W3, informally known as the Great Christmas Comet of 2011. Follow the The Good News Review for lucky number three!! Read more about Mr. and Comet Lovejoy at The Smithsonian Magazine. Get more Good News Review by following us on Twitter @tgnreview!